How Do I Write Goals for Students in Unique? 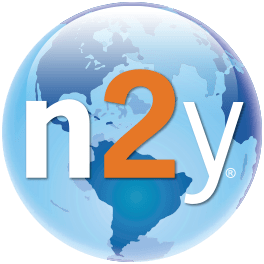 Using Skill Tracking in the Unique Learning System®​ GPS, we can more effectively identify and monitor a student’s goals, preferences, and abilities in relation to our instructional practices. The Unique Learning System framework supports an individual student’s present level of performance within standards-based, instructional activities. Using Skill Tracking, teachers get a clear objective on the instructional strategies, assessments, lessons and other key components. 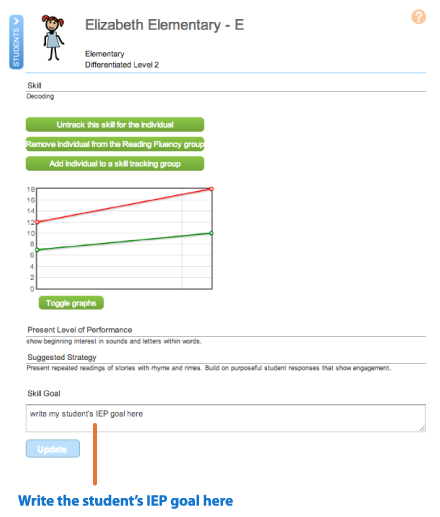 The Skill Goal section is designed for the team to write the goal for the student related to the skill. This goal is most likely the same goal written in the student's IEP. 1. 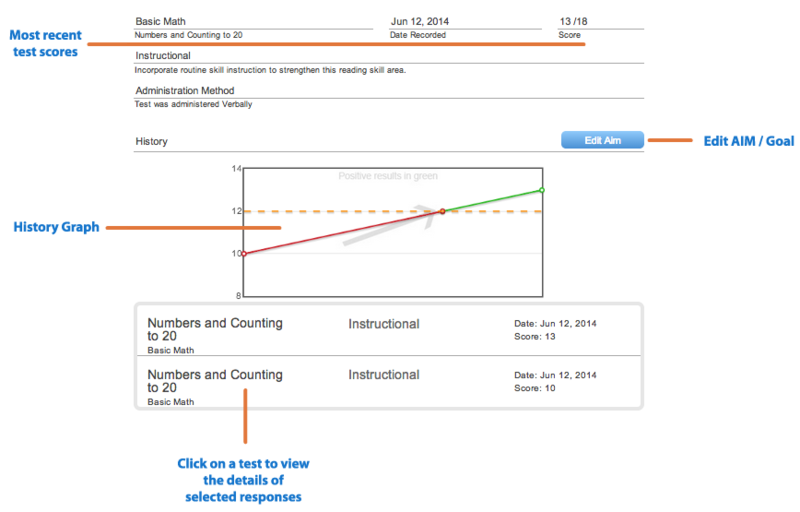 Each assessment score is plotted on a graph to show progress throughout a period of time. 2. The aim line can be used to set a goal for the individual student. The goal for the aim line should be determined by the educational team from the student’s Profile results in conjunction with the student’s IEP. 3. Click Edit Aim to change the goal for the graph. As scores are plotted on the graph, the arrow indicates the progression of the student. A green arrow pointing up indicates the student is doing well. A red arrow pointing down indicates the student is regressing. How Is Unique Learning System Aligned to My State's Extended Standards?